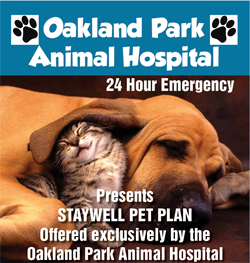 Here at Oakland Park Animal Hospital, we take great pride in providing the best care to each and every one of our doggy or kitty friends. That care starts with education on the dangers of fleas and ticks. If you’ve owned your dog or cat for any length of time, you’re no doubt aware of the recommendation to use flea and tick treatment. Most pet owners opt to do this for at least part of the year, but due to simple lack of education may not understand why it’s so important to treat all year round or to have a vet provide the care. First of all, if you’re wondering whether you really need to protect your pet against fleas and ticks, a veterinarian is a good person to ask. We see many of the negative consequences of failing to use treatment, such as major infestations, hair loss and allergies that cause animals to be miserable and unsightly (which owners do not appreciate). The problem? There are more than 2,200 kinds of fleas and almost 900 species of ticks. It only takes on, however, to make your animal itch and scratch. Fleas can breed quickly, infesting your animal and causing allergic reactions caused by the injection of flea saliva into the skin. Ticks, on the other hand, carry dangerous and deadly pathogens such as Lyme Disease. Your dog or cat may pick up fleas or ticks outside or from another animal at any time of year – even during winter. It’s quite easy to do, which is why treatment from a qualified veterinarian is so important. Plus, fleas and ticks may also be transferred to you, and no one wants that, now do they? Many people wonder if they really need to treat their animals all year, or if they can perhaps just do the treatment themselves with a pet store brand of flea or tick treatment instead of through a vet. The problem with the assumption that you can stop treating in the winter is that most places aren’t cold enough to warrant this. If you live in a land of deep freezes and snowscapes, it’s probably okay, but in most parts of the United States this isn’t the case. Over-the-counter treatments are also problematic, because they tend to use synthetic pyrethroids, to which many fleas are resistant, meaning they don’t work. When that happens, owners tend to obsessively reapply thinking they just “need to use more.” This causes problems for the pet’s skin and can be dangerous. That’s why it’s so important to have a qualified vet help you with flea and tick treatment. 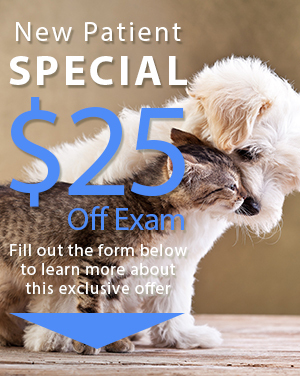 If you’re ready to get the best flea or tick treatment for your Oakland Park pet, come to us. For years we’ve been serving Fort Lauderdale and surrounding areas, including Oakland Park Animal Hospital. We have been serving Oakland Park, Broward County, including Fort Lauderdale, Wilton Manors, Lazy Lake, Lauderdale Lakes, Lauderhill and more. Ready to make an appointment? Call us at (954) 731-4228. We look forward to helping you and your pet today.